Due to The ITC incident the Battle Reenactment and Festival have been canceled. Booming cannons, cracking musket fire, thundering hooves and battle cries will resound across the San Jacinto Battleground as hundreds of history reenactors recreate the events leading up to Texas winning its independence at the decisive Battle of San Jacinto. 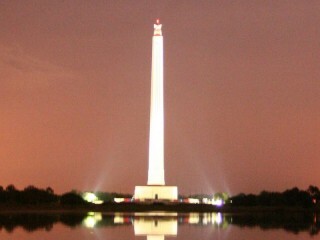 The festival begins with a ceremony commemorating the battle’s anniversary held on the northern steps of the San Jacinto Monument. For more information, visit the web site at http://www.sanjacinto-museum.org/ and the web site at http://www.tpwd.state.tx.us/spdest/findadest/parks/san_jacinto_battleground/.